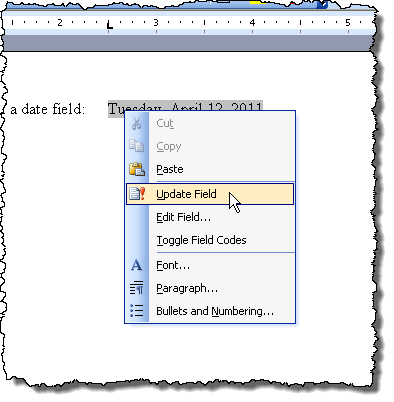 If you have a lot of field codes in your Word document that you are not going to be updating, you may want to convert them to plain text. To do this, you will want to easily find your fields by turning on the field shading. 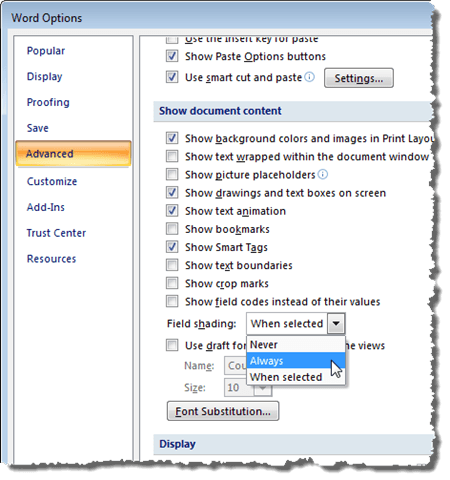 This post shows you how to turn on and off the field shading in Word 2003, Word 2007, Word 2010, Word 2013 and Word 2016. We will also show you the steps to convert fields to plain text, which are the same in all three versions. 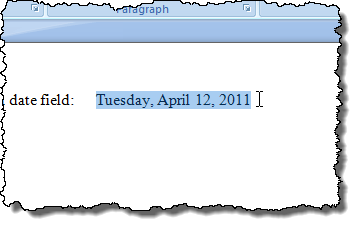 The procedure for turning on or off field shading in Word 2007 is essentially the same as in Word 2010 – 2016. We will show you the steps for Word 2007 and point out the few differences for newer versions of Word. To start, click the Office button. Click the Word Options button at the bottom of the Office menu. 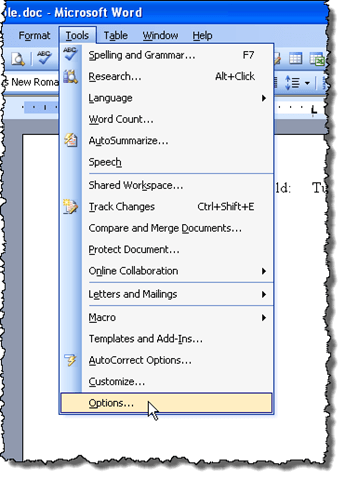 To access Word Options in Word 2010 thru 2016, click the File tab. The rest of the steps are the same for all versions of Word. 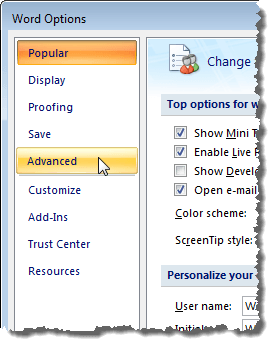 On the Word Options dialog box, click Advanced in the list on the left. Check the Show field codes instead of their values to display the actual code that is being use to generate the field value. Note that you cannot actually hide the field completely. 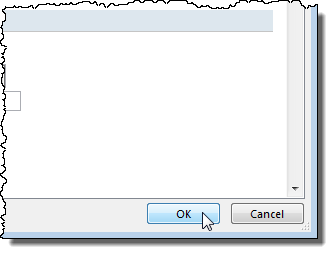 Word will either display the code or the results and you can use this checkbox to toggle between both. You can also use the ALT + F9 keyboard shortcut to toggle between field results and field codes. Scroll down to the Show document content section. Select the desired option from the Field shading drop-down list. The options perform the same functions as described for Word 2003 above. 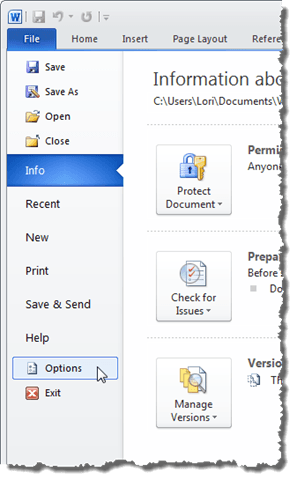 Click OK on the Word Options dialog box to accept your changes and close the dialog box. Again, if you selected Always, the field shading displays even if the cursor is not in the field. 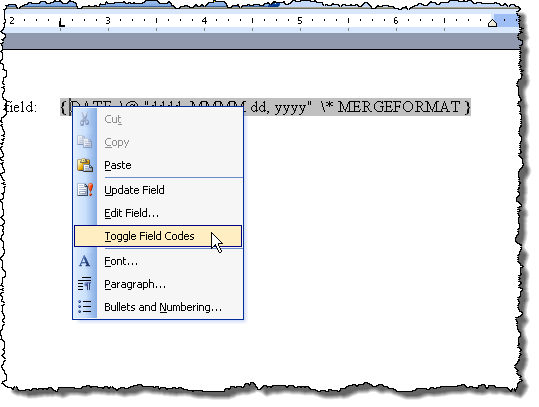 You can toggle the field codes the same way as described for Word 2003 above. 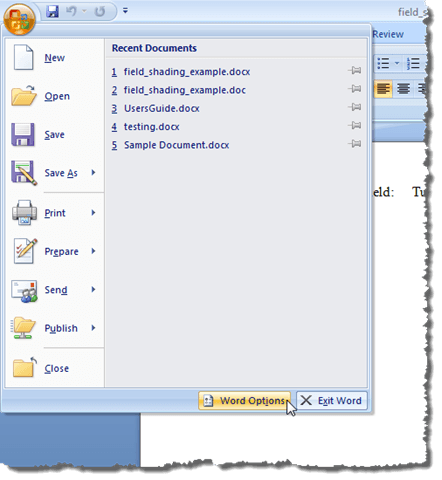 Converting a field to plain text is done the same way in all three versions of Word discussed in this post. Simply, put the cursor in the field you want to convert to text and press Ctrl + Shift + F9. The field is converted to text as the last value it contained when it was a field. 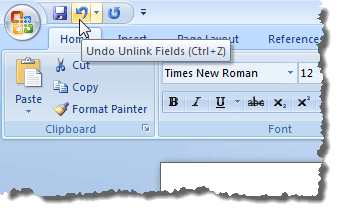 If you change your mind, and want to convert the text back to a field, you can undo the Unlink Fields action by clicking the Undo button on the Quick Access toolbar or press Ctrl + Z. If you want to convert all of your fields to text, you can select all of the text in your document as described earlier in this post (Ctrl + A) and then press Ctrl + Shift + F9. You will then have no more fields in your document. If you decide that you will not need to update a field anymore and you want to convert it to text, you can easily do so. However, first, you should update the field to make sure the value of the field is up-to-date. 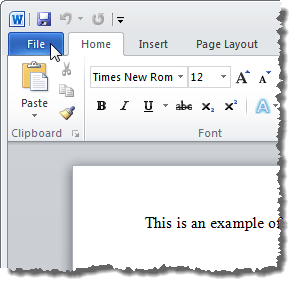 To do this in Word 2003, right-click on the field and select Update Field from the popup menu. NOTE: You can also press F9 to update a selected field. If you want to update all the fields in a document, press Ctrl + A to select all the text in the document, including the fields, and press F9. All the fields in the document will be updated. 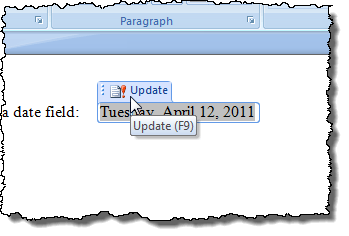 To update a field in Word 2007 thru 2016, put the cursor in the field and either click the Update button that displays above the field or press F9. NOTE: You can update all of the fields in your document the same way as described above for Word 2003. 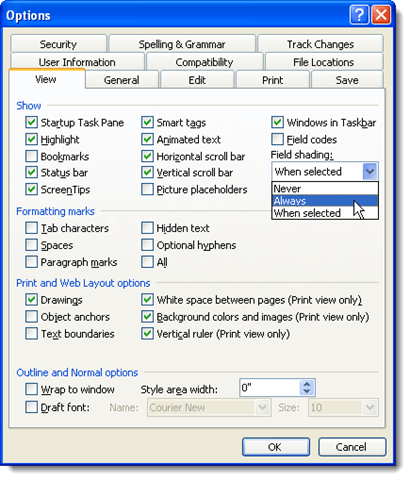 To turn on or off field shading in Word 2003, select Options from the Tools menu. The Options dialog box displays. To turn off field shading, select Never from the Field shading drop-down list. To display field shading all the time, even when the field is not selected or the cursor is not in the field, select Always from the Field shading drop-down list. This allows you to see your fields in your document at a glance. If you only want to see the field shading when the field is selected, or the cursor is in the field, select When selected from the Field shading drop-down list. This is the default choice when you install Word. To hide field codes in a Word document, just uncheck the box right above field shading called Field codes. 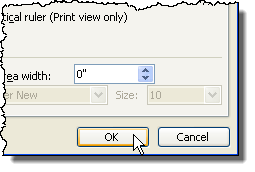 Click OK on the Options dialog box to accept your changes and close the dialog box. If you selected Always, you will notice that fields are highlighted even when the cursor is not in the field. If you see what looks like code in your date field, for example, rather than the date, that means the field codes are being displayed rather than the value of the field. To view the value of the field, right-click in the field and select Toggle Field Codes from the popup menu. You will then see the date, as in the example image above. You may have to select the option twice until the values of your fields display. The fields are all converted to the same state, even if some display field codes and some display values.